Being a Christian, I try very hard to understand the reasons that people do some of the things they do. I have found it impossible to reason out any of the actions of Barack Obama or whatever his name is. Since I am NOT a PARTY person, but rather choose to pick the candidates I support because of who they are and not what party they belong too, the fact Obama is a Democrat has nothing to do with this except it just re-enforces some of his actions against Americans and others. I wrote about him about 2 years after he took office having noted he is a Colonialist, disliking America and his objective to destroy as much of America and her people as he could all in the name of the under-privileged when what he did for them was bury them deeper into nothingness and dependency. His latest actions since his meeting with President-elect Trump have been nasty, vile and intentionally disruptive and damaging to not only the future of America but other parts of the world, namely Israel. 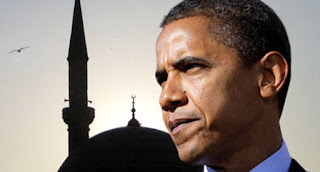 Back in 2011, Obama began showing his distaste for Israel when he urged Israel to hand over half of Jerusalem, the Wailing Wall, Temple Mount, Old Jerusalem, Via Dolorosa and the tomb of Jesus Christ to various radical Islamic organizations. Again in 2013, Obama tried to talk Israel into just handing over the holist Christian and Jewish sites to those very same Islamic groups. This man Obama cannot possibly be a Christian even though he supposedly sat in Rev. Wright’s church for 20 years. We learned long ago of the antics being carried out by Wright and the black, male members of his church. Obama as the Muslim I believe he is, must be questioned as to his concern that Palestine be recognized as a country entitled to the land owned by Israel. It is currently being rumored that John Kerry at the direction of Obama is currently finalizing a document that Obama hopes will form the basis for a UN Security Council resolution that will officially recognize a Palestinian state before the end of Obama’s term on January 20th. If Obama is not a Muslim, than from my way of thinking, he just hates Americans. If he were a Christian, he would have never considered doing what he did thru the U.N. in telling the U.S. not to veto against Resolution 2334. Obama the man has proven over and over that he is a liar and he has never shown that to be more true than with his actions since his meeting with Trump. He sat there in an interview with Trump and reporters, telling the world what a great meeting they had and how he intended to help with the transition into the change-over and he lied. After wasting all our tax-payer money flying around the country supporting Hillary and now since she has lost and his meeting with Trump is over, he talks about how he should have pushed to re-run for a third term arguing that a majority of Americans continue to support his progressive vision for the country not caring the 22nd Amendment to the Constitution says he could not – but then when has Obama ever cared about anything in the Constitution? Obama told Marines at the base in Kaneohe Bay, Hawaii during his Christmas vacation, “I am confident in this vision, because I'm confident that if I had run again and articulated it, I think I could have mobilized a majority of the American people to rally behind it. I know that in conversations that I've had with people around the country," he continued, even some people who disagreed with me, they would say, the vision, the direction that you point towards is the right one." This ego ridden individual also decided to turn his back on Clinton and criticized her for how she ran her campaign refusing to see that the American people are just plain tired of being lied too and “ruled” by a “self-serving president/government and illegal Executive Orders. I personally have no doubt it will be proven that Obama was behind this recent attack against Israel. Both Hillary and Obama have brought Muslims of very questionable character and relationships into the White House. Many Muslims have become good American citizens assimilating to our country and its government. Some have even fought in the US Armed Forces and against radical Islamic terrorism. But our elected president has deliberately brought within the folds of our government members of the Muslim Brotherhood (the progenitor of Jihadism), and its front groups, the Council of American Islamic Relations (CAIR), and the Muslim Public Affairs Council (MPAC). Slowly and methodically over the past 8 years, Obama has been filling the Washington bureaucracy to include DHS, National Security Council, CIA, White House, State Department, DOD, US Armed Forces and every US Intelligence Agency with members of the above-mentioned groups. Obama has acted as a “tool” for the Jihadi movement in the U.S.
Obama’s CIA director John Brennan converted has to the Muslim faith; Huma Abedin, former aide to Hillary; Department of Homeland Security Deputy Mayor, Arif Alikhan; Mohammed Elibiary, Advisor to DHS Security; Obama Administration Advisory Council on Faith-Based Neighborhood Partnerships, Eboo Patel; and Malick Obama, the Head of the Muslim Brotherhood Finance and Arms Procurement, Obama’s half-brother. To make matters worse, Obama senior appointee Lois Lerner, IRS Director at the time, is now implicated in providing material support to Malik Obama. Malik Obama is a known Muslim Brotherhood terrorist and has been granted undeniable special privilege under U.S. law and in granting that privilege, Lerner even used an alias and a private email server initially to complete the act. In other words, she knew what she was doing was treason and she was attempting to cover it up. Richard Higgins (former DOD Manager of the Combating Terrorism & Technical Support Office & Irregular Warfare Section) made explosive charges on national radio stating, "What leaders in the Obama administration are actually scrubbing is any references to the Islamic doctrine that would allow us to define who is or who is not actually one of our enemies. When you look at the deliberate decision-making process of the Obama administration, as it relates to “Radical Islam”, that deliberate decision-making process is controlled by the Muslim Brotherhood. And the way they control it is by prohibiting US National Security Agencypersonnel from ever developing an understanding to the level where Phil Haney had it." Americans have heard for themselves Obama, Hillary and Susan Rice LIE about something as serious as Benghazi and Extortion 17. Americans need to understand the Muslim Brotherhood has been banned from Egypt, Saudi Arabia, Russia, Jordan, Bahrain, the United Arab Emirate because the Muslim Brotherhood & CAIR have been identified as International Terrorist organizations that have tried to undermine and overthrow friendly Muslim Middle East governments. Yet the Obama administration has brought numerous members of the Muslim Brotherhood into the White House and given them positions near and dear to classified information. Philip Haney, DHS whistleblower and former Dept. of Homeland Security official this year released his book “See Something, Say Nothing” explaining the backroom maneuvers going on to deceive America’s citizens. Since 2007 a subtle play has been happening at the UN between the Organization of the Islamic Congress (OIC) countries led by Pakistan and the West (mainly EU, US and their allies). What is also becoming apparent is that Western values no longer have the power they once had in the United Nations (UN) and our platform of democracy and equality is also being eroded. The growing Muslim voting block of nations is slowly but surely introducing Sharia Law into the UN and apparently without anyone really noticing. On 18 December 2007, the UN General Assembly adopted the resolution “Combating Defamation of Religions” by 108 votes to 51 with 25 abstentions. The resolution expresses “deep concern about the negative stereotyping of religions and manifestations of intolerance and discrimination in matters of religion or belief”. But the only religion mentioned by name was Islam. What this resolution did was in effect give Islam Human Rights status—something that should be only accorded to human beings not to an ideology or religion. One day after a prominent U.S. Muslim leader reacted to the November 2015 Paris attacks with a declaration that the Islamic State, also known as ISIS, has nothing to do with Islam, President Obama made the same assertion. Watching these two video’s will give you all the information you need along with showing you the deliberate direction the Obama administration has taken against this country. After listening to the two video’s I wonder if you will also believe as I do is that a great deal of Obama’s actions has been in motion to destroy all Western civilization from within. 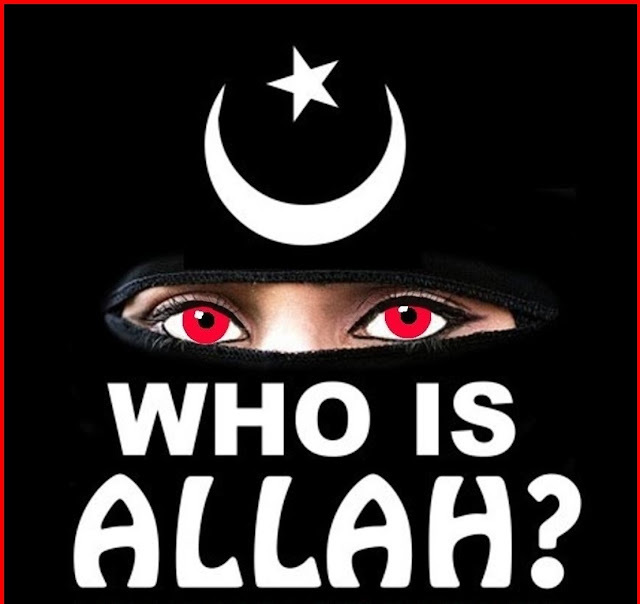 The gravitational force of the Global Islamic Movement is not radicalization - the gravitational force of the Global Islamic Movement is the implementation of Sharia Law. Our government has been supporting and approving the operation of over 165 Muslim Gulen Charter schools in this country since 2000 on YOUR tax dollars hidden under various names. American parents are actually sending their non-Muslim children to these schools. Have American parents totally lost their minds? This video by Bill Whittle exposes how Obama has been impeding Federal Law Enforcement from identifying and effectively fighting “Radical Islamic Terrorists” within the US. • Samantha Powers is the wife of Cass Sunstein Obama’s former regulatory czar who has been labeled the most dangerous liberal in America. • Powers passionately hates Israel and her remarks here and here and here prove it. • In a 2002 interview she stated the U.S. should pour billions of dollars of taxpayer money into a new state of Palestine. • She was re-hired in 2009 as Obama’s Special Assistant to President Barack Obama and Senior Director of Multilateral Affairs on the Staff of the National Security Council. If this recent slap in the face of Israel is enough to make the United States decide to leave the United Nations I say hurrah! As of 2007, we were pouring $7.7 BILLION dollars into the UN a YEAR with no change and no results. After a nine-month examination in 2015 of the U.N. organization’s anti-fraud policies, what examiners found was something akin to anarchy: a “state of near denial” among some U.N. organizations about the theft of their goods, money and services; and inertia, incoherence and a “perceived sense of impunity for fraud perpetrators” in many others. Among other results the report showed “more than half” of some 16,000 U.N. staffers and 164 executive managers consulted by the examiners who had completed a “fraud perception survey” indicated that they believe that fraudulent behavior goes unpunished in their organization. In 2012, the Heritage Foundation and others called for the US to rein in the UN’s lavish salaries after having discovered that U.N. employees in the professional and higher grades in New York earn a net remuneration (take-home salary) that averages 29.5 percent higher than that of equivalent U.S. civil servant grades in Washington, D.C. Moreover, U.N. employees enjoy benefits that in many cases exceed those of U.S. civil servants. Is it not enough the UN has consistently over the years paid money intended for those in need to their country’s dictators? The world should be enraged at the billions upon billions of $$ that have continually been funneled through the United Nations and the countries they were supposed to help are still in poverty, sick and starving. Ban Ki-moon once again calling for emergency funds earlier this month for Global Humanity which he claims has quadrupled over the years, leaving more than 128 million people in need of assistance. Did these people just crop up or have they been ignored for years and the money sent to their dictators? I say “get your house in order and in fact we just need to close you down”. God clearly made an unconditional covenant to give all (not part) of the land of Canaan to Israel for an everlasting (forever) possession and He also promised to be Israel's God (Gen. 17:7-8). Following the return of Israel at the end of the age, God clearly said, "I will also gather all nations, and will bring them down into the valley of Jehoshaphat, and will plead with them there for my people andfor my heritage Israel, whom they have scattered among the nations, and parted my land" (Joel 3:2). In the last half of the Tribulation period, God will drag the nations into the Valley of Jehoshaphat for the battle of Armageddon because they have scattered the Jews (forced some of them off of the West Bank) and divided their land (created two-states out of the land of Israel; see Matt. 24:15-16). In the last several weeks, there have been dozens of reports that Pres. Obama was scheming to stab Israel in the back before he left office. His sinister scheme has now come to fruition no matter how hard he and his anti-Semites pretend that they didn't want to do it. But he did more than stab Israel in the back. He stabbed God in the back by calling His Word a lie and saying that the West Bank, including East Jerusalem, the Temple Mount and the Western Wall, belongs to the Palestinians and not Israel. He stabbed every American in the back by exposing the U.S. to the judgment of God for Mr. Obama's deliberate act of revenge (Obad. 1:15). Christians need to pray that Donald Trump and a coalition of Republicans and Democrats can quickly reverse this global atrocity. That is a possibility because many prominent Democrats have rightly denounced Mr. Obama's ungodly action. He stabbed the Palestinians in the back because they no longer have to negotiate with Israel and they will have to be defeated on the battlefield. He stabbed Donald Trump in the back by making the Middle East problem worse than ever and harder to solve. He stabbed himself in the back by doing something that the Bible clearly says will come back on him and there is plenty of solid evidence to show that it will happen. The terrible deed of this servant of Satan was a previously planned Bible denying resolution in the UN Security Council on Dec. 23, 2016 demanding that Israel immediately and completely cease all settlement activity in occupied Palestinian territory. It said Israel's settlements are not legal and they are putting the two-state solution in jeopardy. The way God sees it He gave the land to Israel and the Palestinians are the occupiers (Deut. 32:8-9). He knows the Palestinian Authority came into being in 1967. He knows that in the history of the world there has never been a Palestinian state and there will ultimately be one state not two when He gets through dealing with Israel's enemies for rejecting His will. Pres. Obama could have vetoed this satanic document, but he contributed to its passage by having the U.S. Ambassador to the UN abstain. His decision to not vote was a decision to let it pass. Understand that this is not the seven year covenant that begins the Tribulation Period (Dan. 9:24-27). It is interesting because of something the UN Ambassador said when she abstained, but there is nothing in the resolution about 7 years. She said "We cannot stand in the way of this resolution in the quest for two states living side by side in peace and security." Saying "peace and security" is the same thing as saying, "peace and safety." Understand that the Temple will still be rebuilt, the animal sacrifices will still resume, the Antichrist will still sit in the Temple, still say that he is God, and every jot and tittle of the remainder of God's Word will be fulfilled. But this is a giant step in the direction of the battle of Armageddon. It is undeniable evidence that Jerusalem is a burdensome stone for the world (Zech. 12:2), a major sign that the Tribulation period is getting close, and by implication, solid evidence that the Rapture is not far off. It is also important to note that Prime Minister Netanyahu said, "We do not accept, nor can we accept, this resolution." This implies more problems in the future, possibly war and more and greater judgment from God. Finally, Donald Trump and several politicians have signaled their displeasure with the UN. The U.S. needs to stop throwing money down that corrupt rat hole and get out. January 21, 2017 would not be too soon for many Americans. 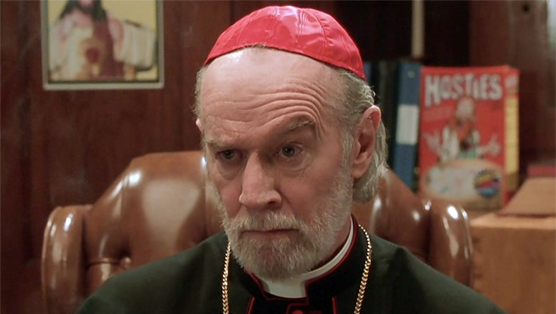 I'M CATHOLIC. WHY SHOULD I CONSIDER BECOMING A CHRISTIAN? A second key difference between Catholics and Bible Christians is the understanding of how we can approach God. Catholics tend to approach God through intermediaries, such as Mary or the saints. Christians approach God directly, offering prayers to no one other than God Himself. The Bible proclaims that we ourselves can approach God’s throne of grace with boldness (Hebrews 4:16). The Bible is perfectly clear that God desires us to pray to Him, to have communication with Him, to ask Him for the things we need (Philippians 4:6; Matthew 7:7-8; 1 John 5:14-15). There is no need for mediators or intermediaries, as Christ is our one and only mediator (1 Timothy 2:5), and both Christ and the Holy Spirit are already interceding on our behalf (Romans 8:26-27; Hebrews 7:25). Catholic friend, God loves you intimately and has provided an open door to direct communication through Jesus. 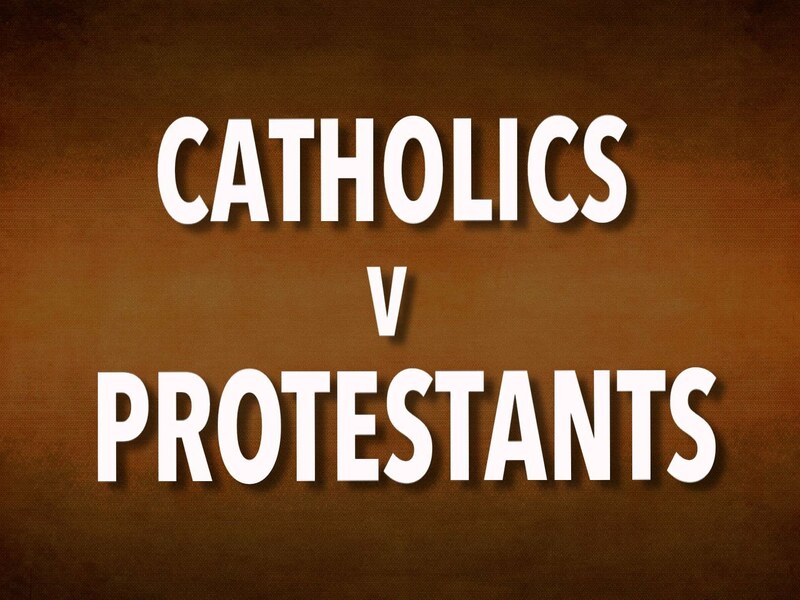 The most crucial difference between Catholics and Bible Christians is on the issue of salvation. Catholics view salvation almost entirely as a process, while Christians view salvation as both a completed status and a process. 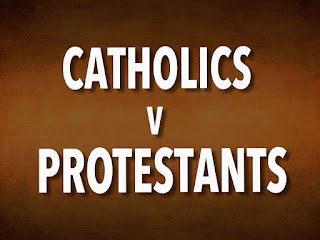 Catholics see themselves as “being saved,” while Christians view themselves as “having been saved.”First Corinthians 1:2 says, “To those sanctified in Christ Jesus and called to be holy.” The words “sanctified” and “holy” come from the same Greek root. This verse is declaring that Christians are both sanctified and called to be sanctified. The Bible presents salvation as a gift that is received the moment a person places faith in Jesus Christ as Savior (John 3:16). When a person receives Christ as Savior, he/she is justified (declared righteous – Romans 5:9), redeemed (rescued from slavery to sin – 1 Peter 1:18), reconciled (achieving peace with God – Romans 5:1), sanctified (set apart for God’s purposes – 1 Corinthians 6:11), and born again as a new creation (1 Peter 1:23; 2 Corinthians 5:17). Each of these is fully accomplished at the moment of salvation. Christians are then called to live out practically (called to be holy) what is already true positionally (sanctified). We can know that we have eternal life, and we can have assurance of our salvation because of the greatness of Christ’s sacrifice. Christ’s sacrifice does not need to be re-offered or re-presented. Hebrews 7:27 says, “He sacrificed for their sins once for all when He offered Himself.” Hebrews 10:10 declares, “We have been made holy through the sacrifice of the body of Jesus Christ once for all.” First Peter 3:18 exclaims, “For Christ died for sins once for all, the righteous for the unrighteous, to bring you to God.” Christ’s once-for-all sacrifice was absolutely and perfectly sufficient. Jesus declared on the cross, “It is finished” (John 19:30). Jesus’ atoning sacrifice was the full payment for all of our sins (1 John 2:2). As a result, all of our sins are forgiven, and we are promised eternal life in heaven the moment we receive the gift God offers us – salvation through Jesus Christ (John 3:16). Catholic friend, do you desire this “so great salvation” (Hebrews 2:6)? If so, all you must do is receive it (John 1:12) through faith (Romans 5:1). God loves us and offers us salvation as a gift (John 3:16). If we receive His grace, by faith, we have salvation as our eternal possession (Ephesians 2:8-9). Once saved, nothing can separate us from His love (Romans 8:38-39). Nothing can remove us from His hand (John 10:28-29). If you desire this salvation, if you desire to have all your sins forgiven, if you desire to have assurance of salvation, if you desire direct access to the God who loves you – receive it, and it is yours. This is the salvation that Jesus died to provide and that God offers as a gift. I say “strong opinions” as men are mortal and the human nature of mankind is to want to be right. To challenge a long embraced doctrinal belief, even with scripture, is to threaten the intellectual part of a person and many people who resort to being antagonistic just can't handle being told they are wrong. “"What about someone who professes to be a Christian and accepts they are a sinner, and admits Jesus died for their sins -- yet they continue to live an unrepentant sinful life?" That's a good question. So what's the answer? Let us first define what the belief of “eternal security” actually is. So since those of the “mother church” Roman Catholicism, and Evangelical Christianity both can't be right, we must turn to the final authority and what is found in your Bible...Now RCC will argue traditions and the writings of the “apostolic fathers”, but when tradition contradicts the Bible, then the Bible takes precedence. But you must interpret the clear meaning of scripture through the Holy Spirit, as the doctrines of salvation are spiritually discerned. 12 “Now we have received, not the spirit of the world, but the spirit which is of God; that we might know the things that are freely given to us of God. We all know someone that went to church, accepted Jesus, then fell away and right back into the life they were living before they got saved. They still talk about Jesus and use Christian buzzwords when around other Christians, but that is about the only visible extent of their conversion. That's question is on both sides of this doctrine of eternal security, Catholic as well as Evangelical. Those who profess Jesus Christ, but still continue in sins of the flesh..some more, some less. They don't continue to gather at your local church, they may continue to smoke, they may have loose lips and say profanity either out of anger, or just habit, but claim to believe, or other variou sins that are of this world...Are they really saved? Taking the arguments of those on the afore mentioned forums, the transformation of an angry, wordly person over a long, painful period didn't just happen...it didn't change them from their old habits into the glorious image of our Lord and Savior at the point of conversion. It take a long period of willing sacrifice and the question of salvation is not of works, but the question is, if there are no works after salvation, was the salvation real or imagined? Can someone believe themselves to be saved and heaven-bound without demonstrating any kind of relationship with Christ? Quoting the forum post directly, can a person "just claim knowledge of the saving grace of God, but never put it into practice? "I have to sympathize with the person who posed the question, as living a Christian life in this world, is not easy because the transition and the transformation process from one extreme (a lost sinner) to the other (a changed life) is a painful process that some Christians prefer not to take the trip. But is the process of transformation, evident by works, a requirement of salvation? For that is the question in the final analysis. I want to explore a parable that Jesus told to those who condemned Him for eating with tax collectors who were the most hated of the Jewish society, as they were viewed as traitors by working for the Roman authorities. We all know the story of the Prodigal Son, but to quickly summarize, Jesus spoke of a man with two sons. One demanded his inheritance and went off and lived a riotous, sinful life. The other son stayed home and worked for his father on the family farm. Ultimately, the younger son found himself in the pig pen competing with the pigs for the corn husk (the most foul unclean destiny for any observant Jew could imagine). Meanwhile, the elder son, (the more serious one) put his love for his father into action by working in the fields, obeying his father's commands, and served him faithfully. The comparison is stark and deliberate and Jesus used the parable to make a point to those who questioned Him, and it sounds like some of the questions proposed on this forum by certain members. I don't believe the similiarity is accidental. On one hand, we have an unrepentant, lustful, disobedient son squandering his inheritance on sinful living, shaming his father everywhere he goes. He cares about nothing but himself and wastes all that his father gave him. On the other, we find the obedient, hardworking and honorable son, working at his father's business, because he loves his father. He isn't working at his father's business to earn his inheritance. He already has that by virtue of his sonship. He is working that hard out of love. So when the disobedient, lustful son shows up and is received as an equal to the obedient son, the obedient son says, "How can this be?" So how is it that the one son who had left his father and the elder son who honored his father, and this sinful son who has just now returned and given a joyful welcome, are by any means equal? ON first glance, the elder son has a legitimate point, but still the lesson is even though the elder son was obedient, he didn't do it for his inheritance, since it was his by being his father's son, but the younger son didn't loose his being his father's son by squandering away his inheritance either. 32“He that spared not his own Son, but delivered him up for us all, how shall he not with him also freely give us all things? 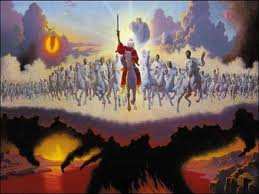 33Who shall lay any thing to the charge of God's elect? It is God that justifieth. 34Who is he that condemneth? It is Christ that died, yea rather, that is risen again, who is even at the right hand of God, who also maketh intercession for us. 35Who shall separate us from the love of Christ? shall tribulation, or distress, or persecution, or famine, or nakedness, or peril, or sword? 36As it is written, For thy sake we are killed all the day long; we are accounted as sheep for the slaughter. 37Nay, in all these things we are more than conquerors through him that loved us. 37 “All that the Father giveth me shall come to me; and him that cometh to me I will in no wise cast out. 6 “But we are all as an unclean thing, and all our righteousnesses are as filthy rags; and we all do fade as a leaf; and our iniquities, like the wind, have taken us away. One need not be in fellowship to still be part of that family. I know of many father and sons, or even daughters who have no fellowship to speak of, but that does NOT make them unrelated. They are still father and son/daughter. That does not change. Which brings us to the next, and most obvious question. How does one enter into a family relationship with God? Remember the time when you were first saved? I do very clearly. For each of us, there is the period of time before we were saved, and then the moments when we made that confession and belief in Jesus Christ as Savior, followed by all the time we have left on this earth. We are to repent of our sins at this moment of conversion, as that is the beginning of our conversion from what we were, into what we have now become...a child of God. The English Bible translates repent from the Greek word metanoeo, which means, "to change one's mind" -- in this case, about one's sin. So an "unrepentant Christian" is an oxymoron. If one is a Christian, one has already changed one's mind about one's sin. The moments that come afterwards cannot undo the moment that has already occurred. Hang with me here as I prove the point by following what God said, not what man believes is true from following their church's traditions. There are some important points to understand when we look at the story of the prodigal son. 1) He is still his father's son, no matter what has happened. The father assures the obedient son that all that the father has belongs to him. 28 “And he was angry, and would not go in: therefore came his father out, and intreated him. 2. The prodigal son gets nothing but a warm greeting and a place to call home. The elder son's inheritance is fully intact. The obedient son lived a sheltered life, protected by the father and never suffered the indignities, pain, hunger, shame and guilt that racked the prodigal's life. The obedient son will always be in charge. The prodigal is grateful to have a bed. 3. We get another picture of the difference between the obedient son and the prodigal son in Paul's letter to the Corinthians describing such a scene in heaven before the judgment seat of Christ. 11” For other foundation can no man lay than that is laid, which is Jesus Christ. 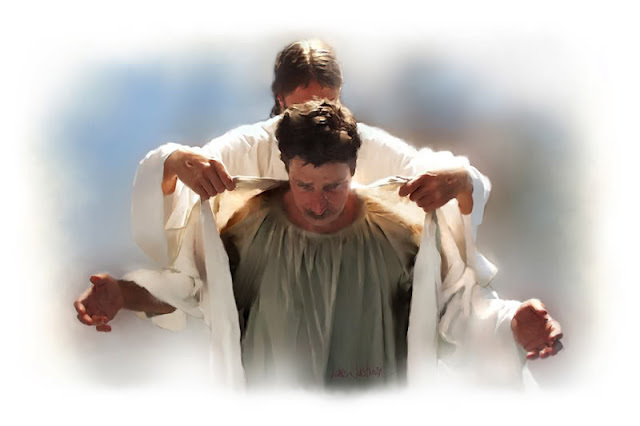 This is a picture of the obedient son standing in front of his Savior and being confused why another who is there at all, because they didn't live like a Christian. (a prodigal son Christian) The obedient son receives the rewards for those things done in his body for the Father here on earth and those done for the Name of His only Begotten Son, Jesus Christ. He is rewarded for his struggles here on earth, for proclaiming the witness of Jesus Christ and being good stewards of the talents given to him and doing his Father's business. Then comes the prodigal son...you know that Christian we all judged here on earth as not deserving any kind of reward, or even a place in heaven. Note that he is also standing before the Judgment Seat of Christ. Not because of his obedience, but because of his status as a son. That status was extended to him, the moment he accepted Jesus as personal Savior. At the moment of salvation, he changed his mind about sin and accepted the free pardon extended to him. He asked Jesus into his heart, he was washed clean of all of his sins, past, present AND future. He was adopted into the family of God and was saved. Now he stands before Jesus being judged for his rewards, or “inheritance” ...just as the prodigal son was judged as a son, but received nothing but a place to call home and a warm bed. His status as a son, has not changed, but he didn't do much for God in the life he lived. He may have been embarrassed to witness...he may have been a wall flower who didn't have much confidence and didn't rely on the strength God gives to those who ask. But he is still family. Note the last verse of the passage quoted in 1st Corinthians 3. Note that he suffered loss....loss of rewards. But he himself will be saved, as THROUGH the fire. We don't know what heaven will be like, but those who just “get by” will not be given the responsibilities of a son to rule over God's Kingdom here on earth, and into eternity. 42 “And the Lord said, Who then is that faithful and wise steward, whom his lord shall make ruler over his household, to give them their portion of meat in due season? 43Blessed is that servant, whom his lord when he cometh shall find so doing. Eternal security is NOT a license to sin, because your sin will find you out. If it be a habitual sin, it will kill your body. It will kill your witness for Jesus Christ and will kill your effectiveness for Christ. It may lead to disease, or it may lead to premature death. It will eliminate rewards handed out during Jesus Christ Bema Seat judgment. Sin has consequences in this life, and it has consequences in the next life...In the next life, there will be Kings and princes allowed to rule, and there will be subjects and servants. There will be mansions, some greater than others....which suggest that some will end up with just an apartment and a place to call home. But being tried by fire and coming through the fire, as the scripture says “If any man's work shall be burned, he shall suffer loss: but he himself shall be saved; yet so as by fire.” means he is allowed to live. Why? Because he is a son, and has Jesus found in his heart when he received the deposit of His Holy Spirit at conversion and repented of his past sins. We are saved by grace. Grace is defined receiving something you did not earn. Mercy is defined as something you earned but did not receive. Being saved means literally being saved from “the second death” and not being cast out into outer darkness where Jesus described it several times, “where the worm dieth not, or the fire quenched”. The rest is determined by your obedience and did you follow the commands of our Lord God? Did you conform to the image of His Son, or did you just get by? But if you follow the scriptures, you realize that no matter how hard you try, you will not be able to be perfect. You will still sin...maybe not to the level that you practiced before salvation, but in God's eyes, sin is sin....and Paul lamented in Romans chapter 7 of this very fact. 14 “For we know that the law is spiritual: but I am carnal, sold under sin. 15For that which I do I allow not: for what I would, that do I not; but what I hate, that do I. 16If then I do that which I would not, I consent unto the law that it is good. 17Now then it is no more I that do it, but sin that dwelleth in me. 18For I know that in me (that is, in my flesh,) dwelleth no good thing: for to will is present with me; but how to perform that which is good I find not. 23But I see another law in my members, warring against the law of my mind, and bringing me into captivity to the law of sin which is in my members. 24O wretched man that I am! who shall deliver me from the body of this death? But moving on into chapter 8, Paul gives us even more truth of our inability to totally quit sinning in that we strive to follow the Spirit and subject our flesh to God's law though imperfectly. 1 “There is therefore now no condemnation to them which are in Christ Jesus, who walk not after the flesh, but after the Spirit. Not that we are free from the law of sin and death....its penalty, YES, but not from sin entirely...it's humanly impossible, because we are still mortal. But those who strive to keep themselves from sin, are like the obedient son..Obedient Christians aren't wasting their time being good when they could be out partying. They are laying up for themselves treasures in heaven, like contributions to a heavenly 401k. …. You don't need a 401K to retire here on earth, but if you don't have one, you'll regret it...so it is with eternity..if you don't lay up treasure in heaven and receive nothing but a place to call home at the Bema Judgment seat. As a Christian, you don't have to have works to get to heaven, but in the future, you will regret it...for all eternity.